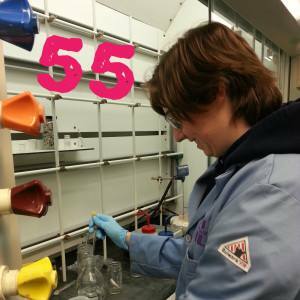 This week we bring you a great interview with Ashlee Robison who is a Senior Chemistry Major studying at Fort Lewis College in Colorado. She is doing research into the use of Thymol in controlling Varroa Mites. How do you attach a Thymol Molecule to a sugar Molecule. Have you ever used Thymol in your Beekeeping? Did it work for you? Thanks for a very interesting podcast. It would be a great treatment method is successful. I know some beekeepers add essential oils including thyme to the sugar feeds . The effect may be similar as the thyme is taken into the bees when feeding. Does anyone know of any quality research published on such "medicated feeding" ? No I don't but I know that the Fat Bee Man "Don" uses Essential oils quite a bit. Yes I wonder if anyone has done studies into them?